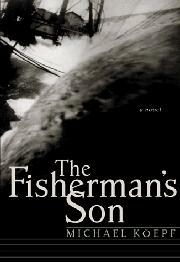 A lyrical if sometimes brutal first novel about a boy’s apprenticeship to his hard-luck fisherman father on California’s northern coast, from a former professional fisherman and current screenwriter for Steven Spielberg’s Dreamworks. Kîepf’s 19 years on the water pay off here in spades with his superbly observed meditation on the last three decades of a dying breed. His young protagonist, Neil, first watches from afar with fear and reverence as his father pursues life and livelihood as a salmon fisherman, venturing out in small two-man boats from the treacherous, rockbound coast of San Francisco’s Half Moon Bay. Financial hardship sends Neil out with his father beginning at age 12. Their shared profession is characterized by booms and busts as fish and storms come and go, bootleggers tempt honest men into bloody snares, and the iron-fisted Italian cannery owner ensures that no one ever crawls out from under a crushing debt. Yet the beauty of the coast and the moods of the sea are here rendered with such precision and allure that we understand Neil’s growing enthrallment, even as his parents’ marriage comes apart. Told as a series of memories by Neil as he floats on a life-raft, the plot’s vivid progression easily outweighs any irritation at a rather obvious narrative device. Gradually, Neil’s circumstances become clear: His boat sank during an illegal offshore run he and his brother agreed to make to pay off their debts. When their new employers expect them to cooperate in scuttling a boatload of illegal Chinese immigrants, Neil objects, and things go awry. He responds as his father—or any other upstanding fisherman—would, sealing his doom, and bringing the story to a satisfying and resonant end. A perfect fictional counterpart to The Perfect Storm: pithy scenes, a fine visual style, and artfully woven life stories.